This pattern is a favourite of mine! 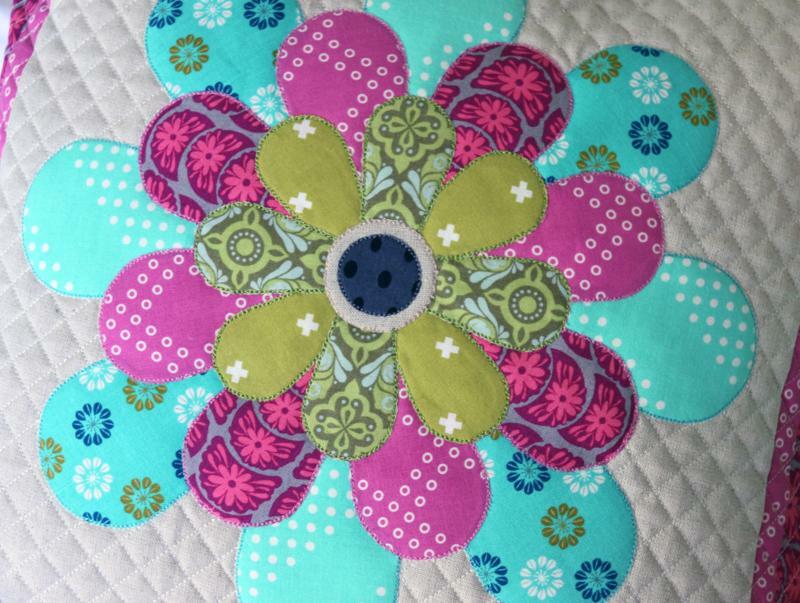 It combines gorgeous fabrics, raw edge applique and detailed quilting. 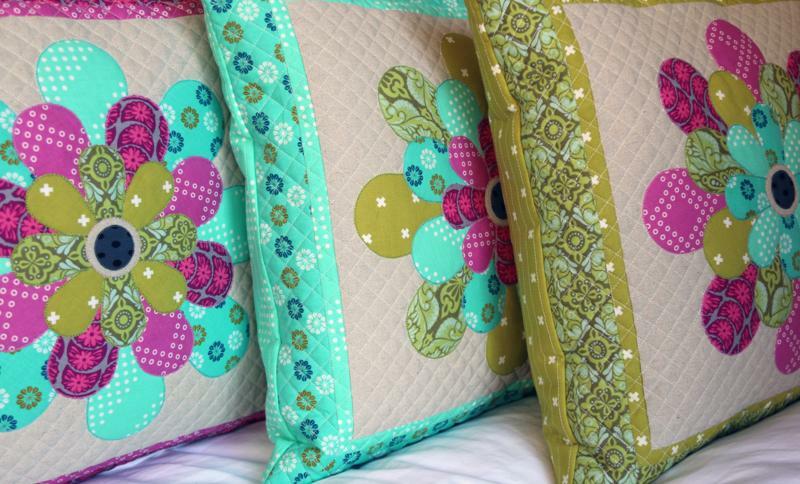 The requirements include enough fabric to make three co-ordinating cushions just by changing the colour placement. 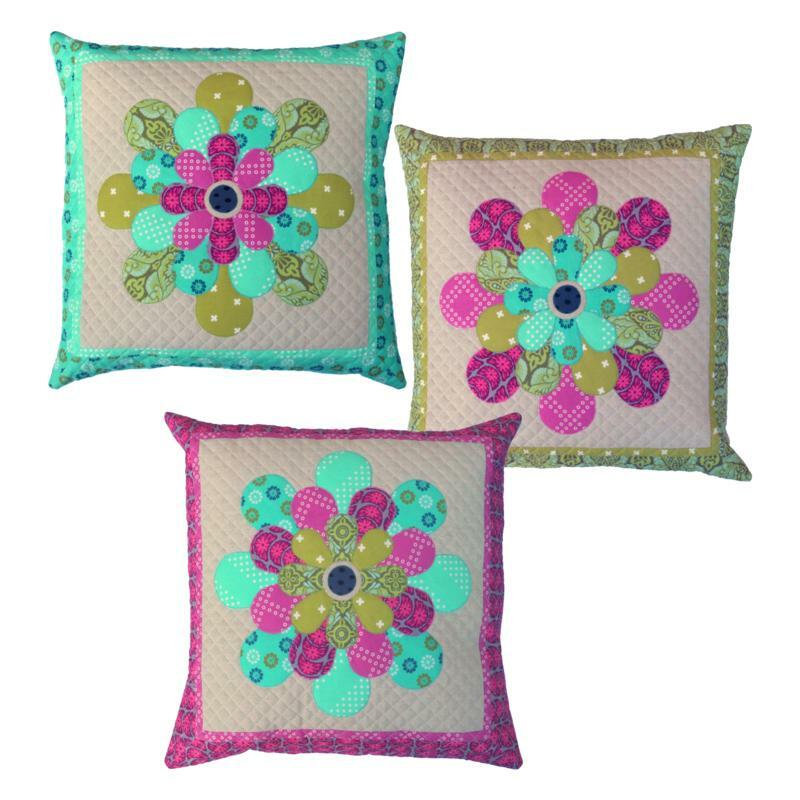 This project is a great introduction to raw edge applique because the work area for a cushion is small enough to manage on a domestic sewing machine. 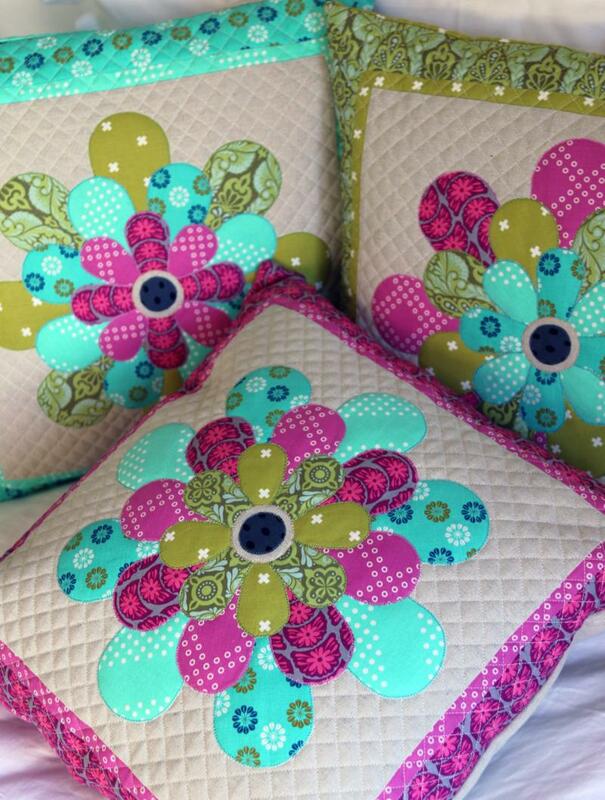 The finished cushions measure 18'' square. The reverse of the cushions feature a button up back. Where can I buy this pattern in the UK?